Now since we are talking about HOT series, let's continue with the hotness. Welcome to my part in the Blood of the Demon Tour. Now I use to be a host for Bewitching Book Tours and I came across this book for review. As a matter of fact , this is another series that I read in a week. 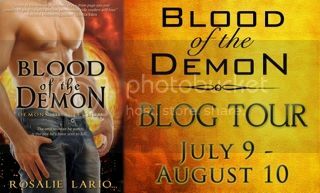 Rosalie Lario put a wonderfully exciting twist on Demons and I LOVED it! Plus all of these Demon brothers are seriously swoon worthy. 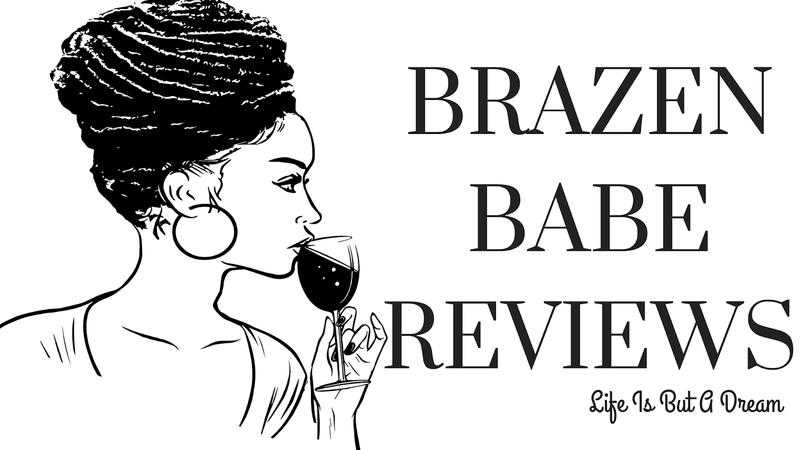 Heres my Review of the Blood of Inferum Series so far. 1) Please tell us about Blood of the Demon. My series starts with the basic premise that all the supernatural beings we think of as mythological creatures really do exist, with a twist. There are multiple dimensions, each housing its own species of beings, and travel is possible between the dimensions by use of portals (something most humans have no clue about). Keegan is a half demon, interdimensional bounty hunter. He’s tracking an evil demon, Mammon, who wants to start the apocalypse on Earth by getting his hands on the Book of the Dead, an ancient spellbook allowing for the creation of an army of the undead who’ll devour those on Earth. Keegan has been sent to stop Mammon by any means necessary, even if it means destroying Brynn Meyers, the key to the apocalypse. But Keegan never expected that the woman he might have to kill, would be the very one he couldn’t resist. 2) How did you come up with the premise for this series? I had been contemplating writing a book centered around demons for a while, when I had a dream about the lead character in BLOOD OF THE DEMON. I knew then that Keegan would be only half demon, and that demons would be a race of beings from another dimension rather than your typical beings from Hell. 3) A demon & half dragon is very different concept..how did you come up that idea? I have no clue, lol! My brain is weird that way, always leading me down twisted paths. 4) Whose story is next in the series? Next up is Taeg, the half fae with the twisted sense of humor and the mouth that’s too smart for his own good. I personally love sarcastic smartasses, a la Dean Winchester of the CW’s Supernatural, so this bad boy hero is my personal favorite! What would you like readers to take away with them when they have read Blood of the Demon? More than anything, I hope they lose themselves in the book and it allows them to forget about the worries of everyday life, even if just for a short period of time. Summary: Keegan lives to exact revenge on the evil demon who sired and abused him. When his father devises a plan to bring on the apocalypse, he and his three half-brothers, interdimensional bounty hunters for the Elden Council, are charged with capturing and delivering their father for punishment. Rosalie & Entangled Publishing has so graciously offered a copy of Blood of The Demon. Enter through the Rafflecopter below. Sounds like just the kind of book I like to read! Thanks to Read Our Lips and MCV for stopping by, and good luck! 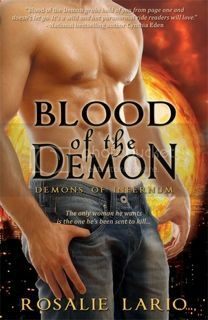 "Blood of the Demon", Demons of Infernum, Book #1 by Rosalie Lario sounds like such an intriguing, unique idea for a Series....& of course I just love Paranormal Books, I would really like to read what I feel is going to be an Excellent Read.